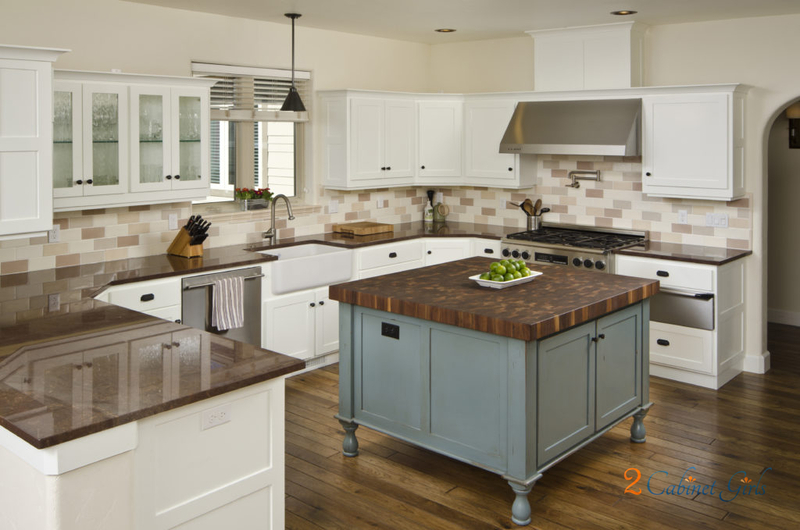 Now that you’ve had your cabinets painted, how do you care for them? Excellent question! Your paint will need between 15-30 days to fully cure. Use your cabinets gently during the 1st 30 days. The paint will be dry to the touch, but soft, and can scratch easily during this curing process. With shelves and furniture please wait 3-5 days before replacing belongings, as they may stick to curing paint. Remember to use the knobs & pulls on your doors and drawers. That will greatly help to lengthen the life of your paint job. Opening the doors and drawers by the edges will cause the paint to wear more quickly! Keep in mind, paint will not last forever if it’s not properly cared for. But if you follow these simple guidelines, it can last indefinitely! Do not use harsh chemicals or bleaches, or any products containing ammonia, when cleaning. Ammonia will soften latex paint (No Windex!). Soap and water should work fine. Magic Erasers are great too. Cuts right through grease and ugly smudges.